Sauté shrimp is another gem among food in Skopelos. Shrimp saganaki as the recipe is called in Greece, is a unique combination of flavor, freshness and aromas of the sea. Its contemporary versions include the shrimp to be blended with tomatoes, feta cheese, white wine and strong spices, so read the ingredients on the menu to found out which version you are about to enjoy. In Skopelos restaurants chefs tend to create simple dishes since the fresh shrimp they get from the fishermen each day is a strong base that helps them create a delicious plate. 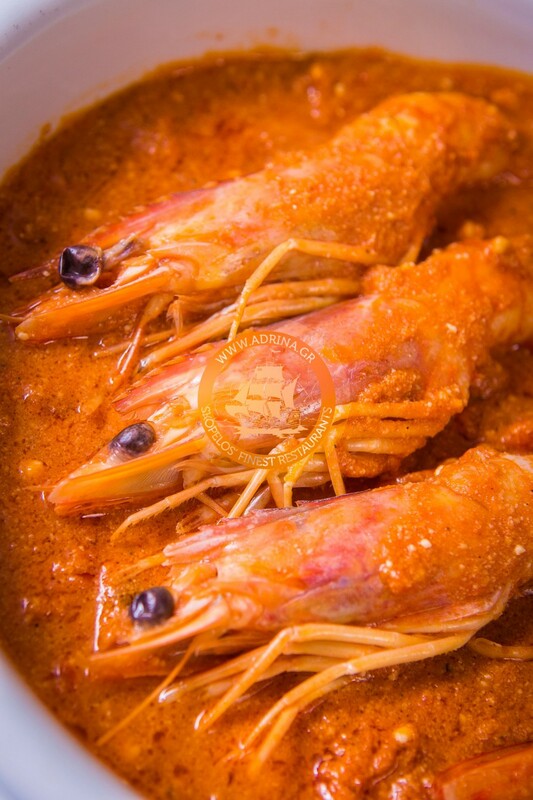 Find out below how we cook sauté shrimp, another great choice of food in Skopelos for all new explorers of Skopelos’ summer. In a pan (medium heat) we add some olive oil and fry the shrimp for about 3 minutes per side. (We season with salt and pepper each time we turn the shrimp). After they are fried, we place them on a plate. In the same pan we add some more olive oil, 4 tomatoes, fresh thyme and a bit of garlic. We boil for about 15 minutes. Now, we toss the shrimp again in the pan and mix them with the rest of the ingredients carefully. After a couple of minutes we place sauté shrimp on a plate and serve them hot! There is no better place to taste sauté shrimp than the island of Skopelos. Take our word for it and taste it today to discover why food in Skopelos is such a satisfying experience.